My journey into sales was a complete accident, but I stayed in sales on purpose. I was trained as an account executive in an advertising agency, but when I landed in London from South Africa back in 2000, I took a job in media sales just to pay the bills. It was a fast, progressive media group, and we were early adopters of selling online banner adverts to our clients. Media sales was always supposed to be a stopgap until I landed a ‘better’ job in an advertising agency. However, I never got back into the advertising world because I loved the pressure and rewards of sales, and as it turns out, I am pretty good at it. From there, I helped pioneer the world of online property listings before moving on to sell IP geolocation databases. 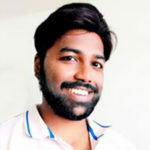 I finally found myself at Skynamo, where I now help a global team of people to sell our awesome B2B sales app to customers all over the world. What inspired you to join Skynamo? Skynamo offers field sales management software and a mobile sales app, which solves many problems for clients who have field sales reps. The product, and the problems it solves, resonate with me as I have spent most of my working life selling and encountering the issues and obstacles the app addresses. What really inspired me though, was our company’s amazing culture! At Skynamo, people are encouraged to be radically self-directed, which allows every member of the team to own their roles and responsibilities. This has been one of the key values that has helped to drive our rapid growth because we can move so quickly. Nobody is too big or important for any job or task, so we all help one another out when it’s needed. This culture, a product we are proud to build and sell, and a group focus on the goal of creating transparency and trust within sales teams keeps us all motivated and moving. How do you define Channel Sales from a current perspective on business intelligence and reporting? Channel sales in our world means selling our software via channel partners whose core products are usually Enterprise Resource Planning (ERP) software. Without Business Intelligence (BI) and Reporting through integration with their ERP systems, we would really battle to help our channel partners to sell our software to their clients. BI and reporting have become very valuable, especially since many systems are now integrated, which allows for even bigger data sets to be analyzed. Gained insights into the past, present and future, help companies to make informed business decisions and should be high on the product offering and services of any channel sales organization. How is the European SalesTech industry different today than when you first started in the industry? Two things have changed significantly: the technology and the competitor landscape and, as a result, how we reach customers. Twenty years ago we didn’t have mobile phones that could do more than SMS. ‘The mainframe’ was still considered the height of tech sophistication and most of us still dialed up to the internet. Smartphones, broadband and cloud-based technology, have enabled mobility in a way that I could never have predicted or even understood. When I got into this game and spoke about sales tools, I was talking about my desk phone, paper diary, Rolodex and car. If I was working with an ‘at-the-leading-edge’ company, there would be a computer connected to a dot-matrix printer where I could input some customer information. It was a dark, dark time. The other significant change is in the competitive space. CRM was coming into its own, but the space was dominated by a few, big companies tending to cater to the enterprise market. Now, in 2019 the market has expanded to include many smaller niche players so everyone’s needs can be met. The outcome of this is that our idea of who our customer is, where they are and how best to reach them has changed. When I first started selling in the tech industry, it was to a very localized audience, meaning sales were to a very select targeted region, basically those I could drive to. Today, I sell across the globe to a vast range of customers across industries, geographies and business size. I also sell from anywhere. Location is almost irrelevant. Back in 2000 I had to be based in an office and would make 50 sales telephone calls per day. Today, I get a demo booked by posting some great material on LinkedIn. I used to know more about my products and industry than my prospects, and I would educate them. Today, my prospect has the internet at their fingertips, and they do their own research and decide on whether they want to talk to me! This shift in tech has shifted my job from being a person who provides product information to being a person who helps clients determine whether the product is right for them. I consult rather than speak and take an order. I have always looked up to Jeff Bezos because he successfully turned his startup into the company that it is today. There was no “rocket science” back then — he simply took notice of some interesting reports that showed the internet was growing at over 2,000% a year and so he decided to act on those statistics by selling books online. Amazon Web Services has also helped us, as a company, tremendously. It is critical to our success as it has helped us scale confidently. It provides us with security, redundancy and back-up services, which help us to give our customers peace of mind. This technology has a profound impact on our ability to sell our product. How do you work with data science, process automation, enterprise planning, and advanced analytics at Skynamo? Our app helps many companies to start or enhance their digital transformation journeys, often by removing paper and manual processes and replacing them with automated ones. By integrating with ERP and accounting systems, we ensure that the whole company is working off a single, correct, data source. This helps to reduce duplication and minimize errors in the sales process. Skynamo’s embedded business intelligence and analytics allow us to offer this functionality and insight to our clients. We also provide standard automated reports to our clients as part of their SaaS fee. These reports can also be customized for our clients for an additional fee. Any new software system or process needs change management. People are creatures of habit, and often it takes time and discipline for adoption to happen. Companies know that using a system like ours will add value to, and benefit their business but they can struggle to get buy-in from their whole team as change is often painful and uncomfortable. If sales tracking is not monitored and senior management does not champion this process, it can fall flat, as no connection has been established between the technology and its impact on sales and no sense of it being supported by the business leaders. The system needs to be made simple, and the business needs to see the return on their investment, otherwise, this can also have an impact on its success. Its critical for salespeople to move from being ‘order takers’ to ‘consultants’. AI will automate more and more of the selling process, and sales tech champions need to encourage salespeople to become more relationship, insight and consultancy driven so that they can continue to add value to customers. Which sales technologies are you currently working with – (example ABM, Technographic data, CRM etc.)? Our primary tools at Skynamo are our own software and app, Skynamo, as well as HubSpot. From the industry, which sales leader would you like to see featured in this interview section? Thank You, Brian, for answering all our questions. We hope to see you again, soon. Brian Howe started his career in media sales and have worked in the industry of advertising sales for a period of over 8 years. He left the world of advertising and spent over 2 years selling data for a software company and then moved into running a strategic planning business where I spent over 4 years. 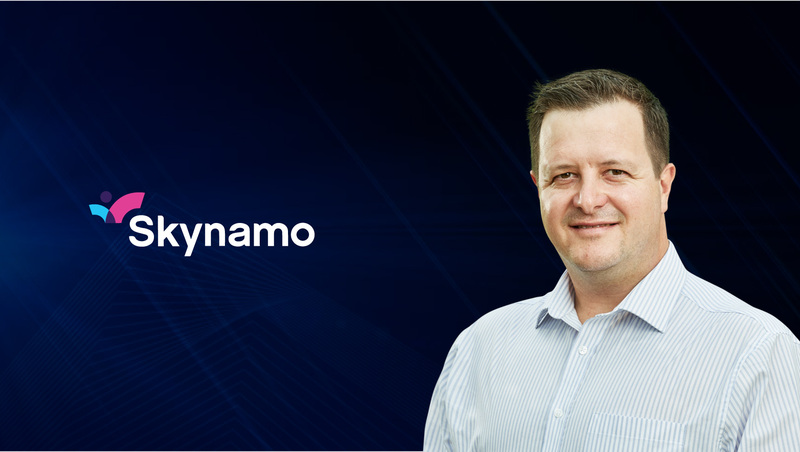 Brian currently work at Skynamo where I’m helping an amazing team to make a real difference in the lives of sales teams.